UFC 31: Locked and Loaded was one for the books! 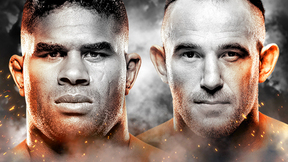 One of the greatest title fights ever as UFC heavyweight champion Randy Couture faced Pedro Rizzo, the unforgettable Matt Serra vs. Shonie Carter bout, the debut of BJ Penn, and reformed weightclasses. 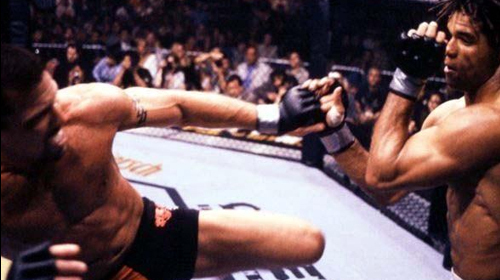 Randy Couture vs Pedro Rizzo UFC 31 Fri, May 4, 2001 (1:31) Randy Couture and Pedro Rizzo left it all in the Octagon in this heavyweight title fight, but only of them emerged victorious with the belt. 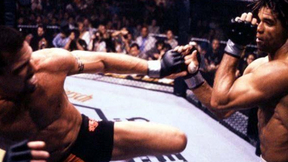 Carlos Newton vs Pat Miletich UFC 31 Fri, May 4, 2001 (0:25) Could Carlos Newton's Dragonball Jiu-Jitsu do the job and stop the reign of undefeated UFC welterweight champion Pat Miletich at UFC 31? 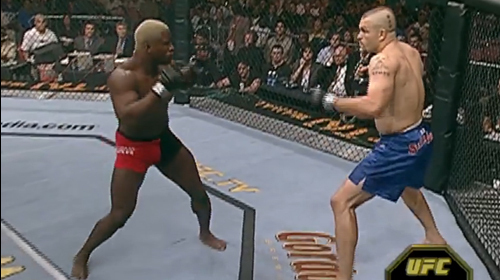 Chuck Liddell vs Kevin Randleman UFC 31 Fri, May 4, 2001 (8:19) Do you remember the last time Chuck Liddell was an underdog? It was probably in this 2001 bout against former UFC heavyweight champ Kevin 'The Monster' Randleman. Shonie Carter vs Matt Serra UFC 31 Fri, May 4, 2001 (1:05) On a night of great fights, Welterweights Shonie Carter and Matt Serra topped the action with a fight that delivered a myriad of twists and turns, with each man having his moments both standing and on the mat. Semmy Schilt vs Pete Williams UFC 31 Fri, May 4, 2001 (13:56) In Pete Williams’ return to the Octagon in more than a year, the Lion’s Den heavyweight could not have asked for a bigger, literally, challenger than the 6’11” karate blackbelt and veteran of the Japanese MMA’s Pancrase - “Hightower” Semmy Schilt. 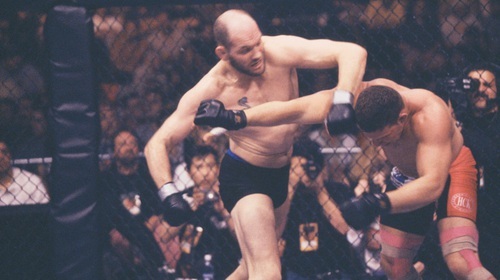 Matt Lindland vs Ricardo Almeida UFC 31 Fri, May 4, 2001 (22:39) After a successful UFC debut, the undefeated 2000 US Olympic Greco-Roman wrestling silver medalist Matt “The Law” Lindland stepped into the cage to take on Brazilian jiu-jitsu blackbelt under Renzo Gracie and Octagon first-timer Ricardo “Big Dog” Almeida. BJ Penn vs Joey Gilbert UFC 31 Fri, May 4, 2001 (10:46) Rising jiu-jitsu star BJ 'The Prodigy' Penn made his UFC debut against fellow UFC newcomer Joey Gilbert. Tony DeSouza vs Steve Berger UFC 31 Fri, May 4, 2001 (24:34) A double debut of submission aces, Steve “The Red Nose Pitbull” Berger with his 13-5-2 pro record faced the master of the “Peruvian necktie”, Brazilian jiu-jitsu blackbelt and former NCAA Division I wrestler Tony DeSouza.